HCISD Swimmers and Divers continue to make waves in the high-school aquatics arena. 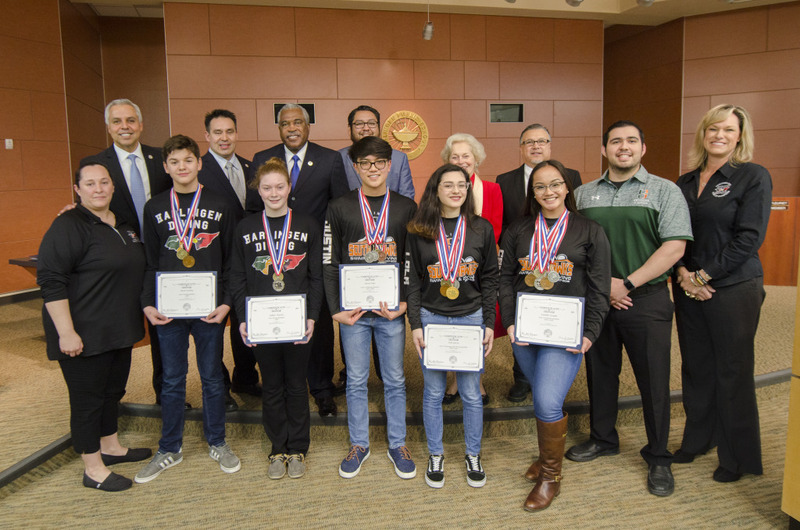 After competing in the Region 8 Swimming and Diving finals on Saturday, Feb. 3, five student-athletes qualified to compete in the UIL State Swimming and Diving meet to be held in Austin Feb. 16-17. This is the first time since 2011 HCISD has had a state qualifier for swimming, and the first time since 2009 it has had a state qualifier for diving. *Luckey is the first diver to qualify for the state meet from HHSS.